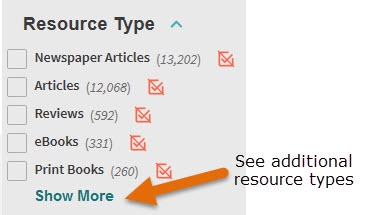 How do I save, print or email my results? Can I use "boolean logic"? Can I use truncation or wildcards? How do I search by ISSN or ISBN? 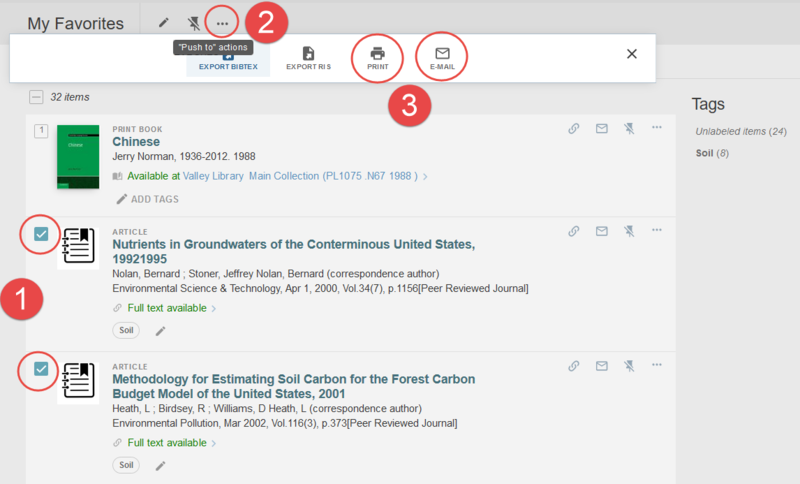 Favorites (formerly called e-shelf) is where you can keep track of what you found in your searches. You can add things to the Favorites without being signed-in but they will disappear once you exit 1Search. To keep items on your Favorites, sign in in the top right corner of the screen. Select the Pin Icon at the top of the screen to view your marked records. To search for a phrase, enter quotation marks around your search terms, e.g., “climate change”. To search for any specified words or phrases, enter OR (all in upper case) between the words or phrases, e.g. genealogy OR lineage. To exclude words or phrases, enter NOT (all in upper case) followed by the word or phrase to exclude, e.g. silver NOT gold. To group terms within a search, use parentheses around the terms, e.g. Shakespeare (tragedy OR sonnet). To perform a single-character wildcard search, enter a ? in place of the character position that has more than one possibility, e.g. wom?n to search for woman, women, etc. To perform a multiple character wildcard search, enter a * in place of the characters that have multiple possibilities, e.g. cultur* to search for culture, cultural, culturally, etc. This option is found on the Advanced Search page in the drop-down text menu next to Search Terms. You must enter ISBNs like this: 9780375847387. You must enter ISSNs like this: 1523-388X.